All of the above individuals are Voting Members of the Council and shall have voting privileges. 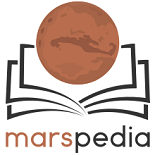 All of the above individuals have 2-year terms that expire at the Mars Society Convention in 2019. Ex-Officio means they are members because of their office. In all cases above, these members have voting privileges and otherwise are the same as regular (non-Ex-Officio) members. On December 28, 2018, Shaun Moss was added to the council by unanimous vote, and Susan Holden Martin rejoined the council by unanimous vote. Kerri Miller, Michael Stoltz, and Mike Delaney were auto-removed from the council for inactivity. On March 30, 2018, Frank Crossman and Kerri Miller were added to the Council by unanimous vote. Also, James Burk was officially confirmed as Chair and Nicole Willett was nominated and confirmed as Vice Chair. Susan Holden Martin was the initial Chair from October 2017 until March 2018, at which time she resigned and James Burk became Chair. She was later re-added to the Council as a regular member. This page was last edited on 28 December 2018, at 08:19.